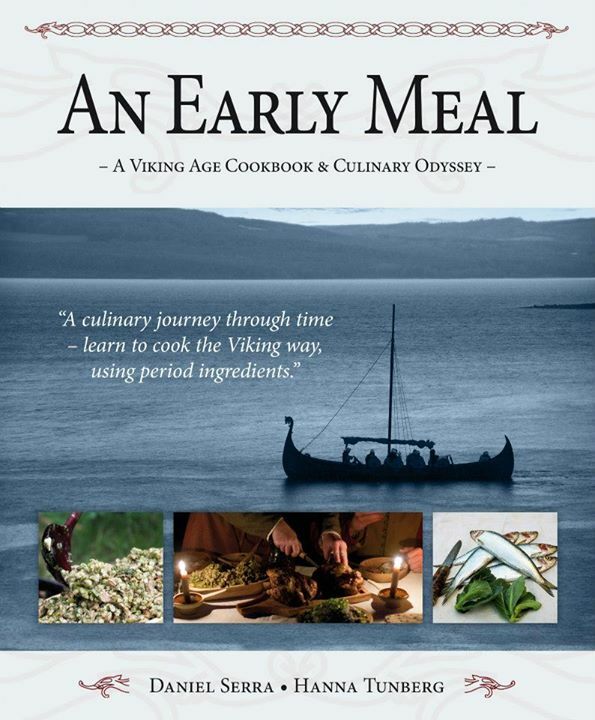 While the other recipe books I have for the Viking age tend to play a bit fast and loose with the accuracy of the food, this book is all about being as authentic as can be. Where Bålmad for moderne vikinger and Mit vilde vikingekøkken are very much books to get modern people to try food that might be like what the vikings ate, this is much more of a historical recreations based on evidence. This is a much more serious project. And it shows in the long introduction of the book and of the chapters. The introduction is excellent and gives great insights into what and how the Vikings ate as well as how we know. It is detailed and has quotations and pieces of historical sources as well as references to archaeological findings. The recipe part so far is interesting… and some of it I even want to try to eat. Others well I don’t particrally want to try boiled pork belly with cabbage. The book is well written, though a bit repetitive, if you read the introduction to a site and then the explanation of a dish, they do tend to go over the same stuff twice. But I am not sure the book are meant to be read cover to cover, as I did (in two days). There are a lot of really good information and it is definitely a book I will use as a reference book in the future. And the pictures are beautiful – something I always find inspiring in a cookbook.